Starting from the traditional British recipe of the fruit crumble, made with a base of apple chunks topped with a crumbled dough of flour, sugar, and butter, we have made a healthier version of this yummy fruit dessert. In fact, this crumble is vegan, sugar-free, gluten-free and dairy-free, and prepared with a few simple ingredients. This plum crumble has a no-flour topping made with roasted hazelnuts and oat flakes combined with a splash of vegetable oil and a hint of ginger and vanilla. 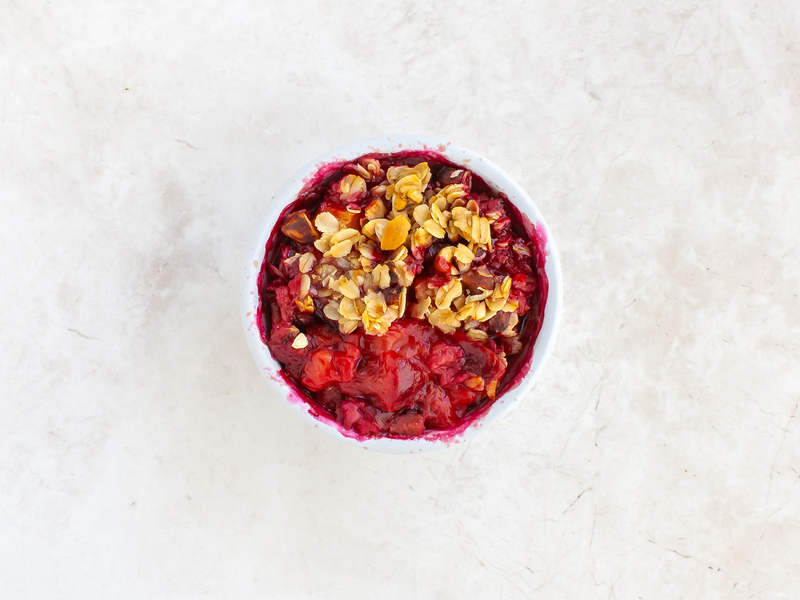 Thanks to the use of oats, nuts, and plums this low-calories dessert is a great way to eat more fruit and get healthy fats and fibres. 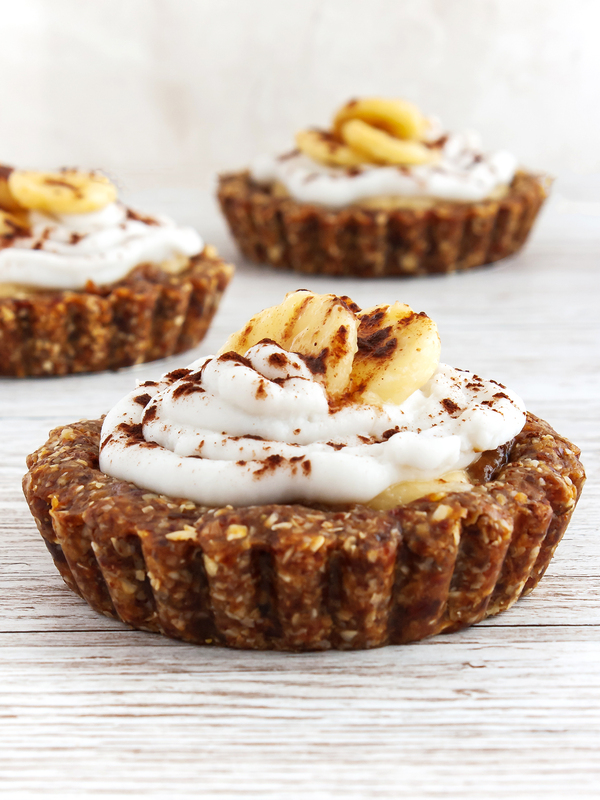 It’s the perfect recipe for those looking for a healthy dessert to satisfy their sweet tooth or those with food allergies and special diets. 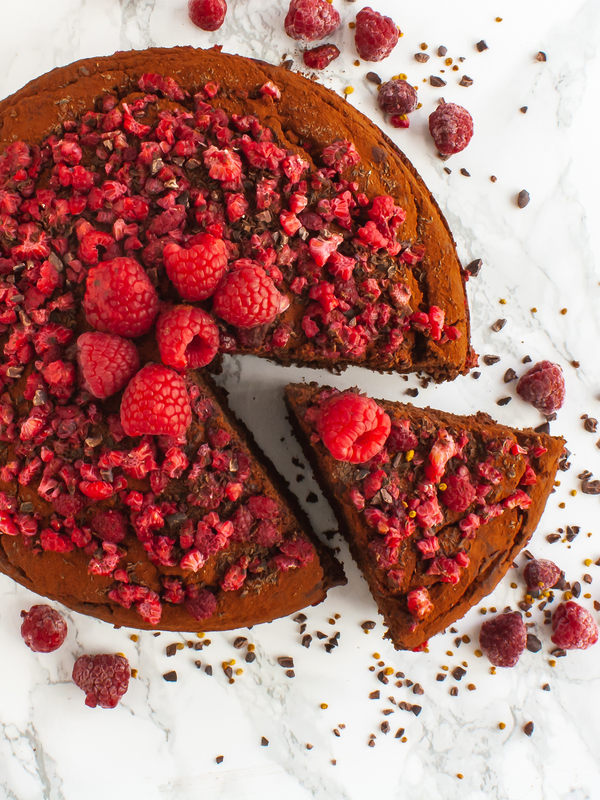 You can discover more delicious recipes like this through our Smart Search function to filter recipes according to your diet, allergens, nutrients and more! For this no-sugar plum crumble recipe you can easily use your morning porridge oats, swap hazelnuts with almonds, pistachios or other nuts and use the best fruit in season. It’s better enjoyed warm from the oven but you can store it in the fridge for a few days. You can also prepare the dessert ahead and then bake it when needed. 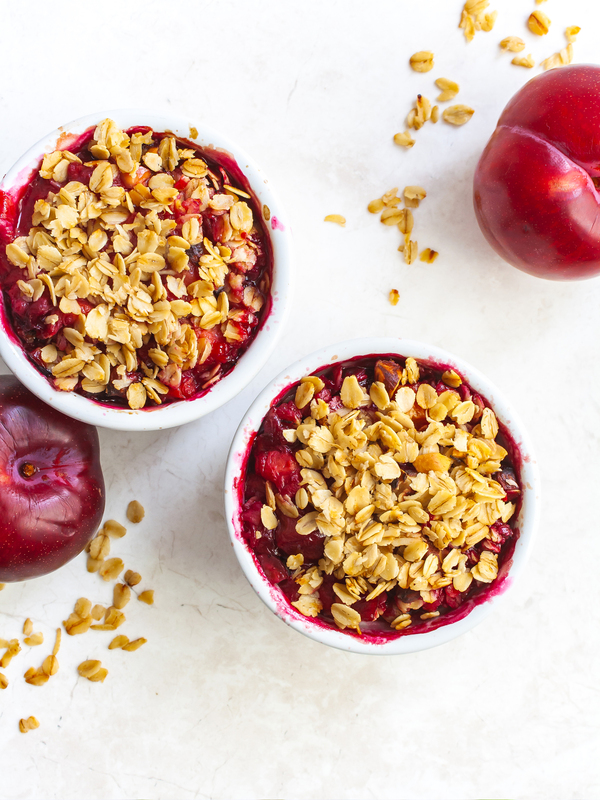 To prepare this vegan healthy plum crumble, start by preheating the oven to 170°C (340°F) or 150°C (300°F) for fan ovens. 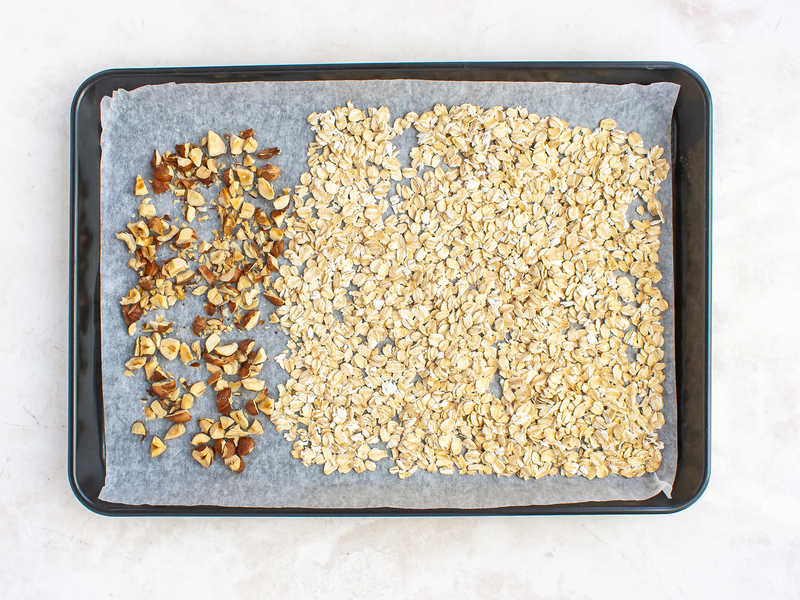 Distribute the oat flakes and nuts flat over a baking tray lined with parchment paper. Roast for 10 minutes or until lightly golden (1). 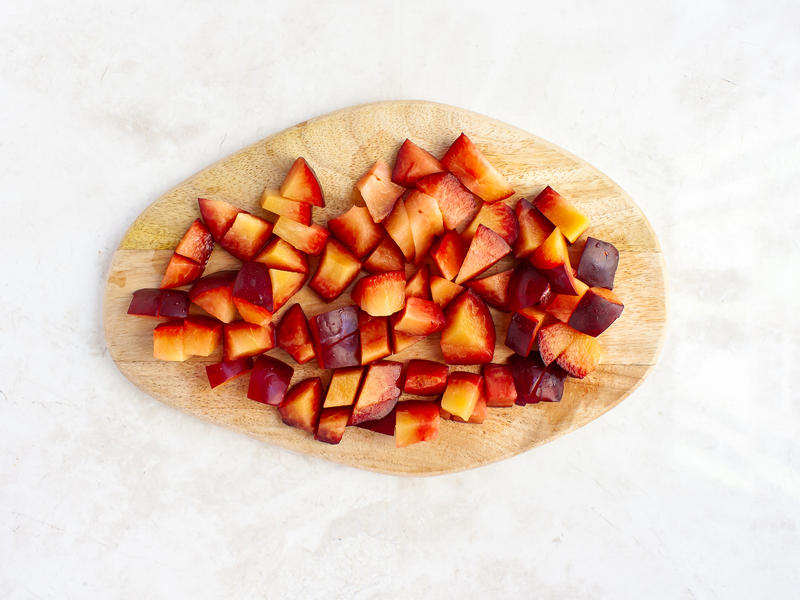 In the meantime, rinse the plums, remove the pit and cut into small chunks (2). 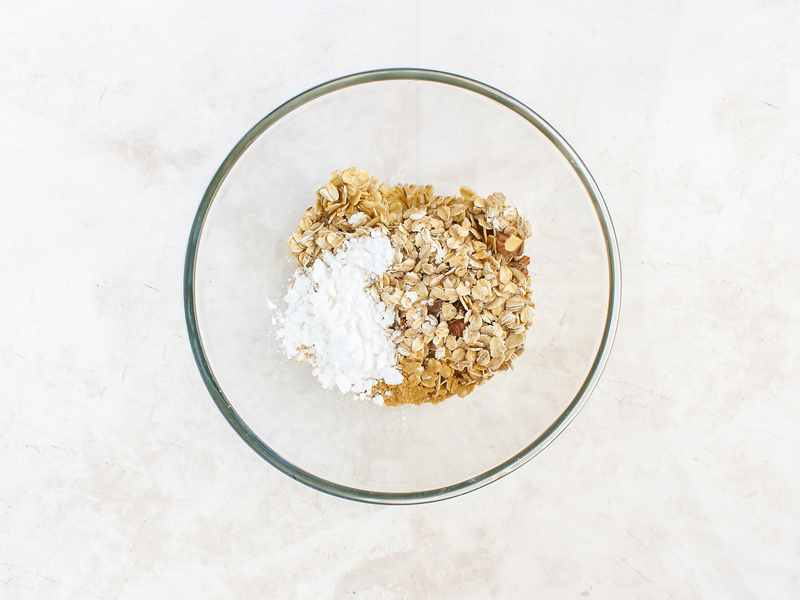 In a mixing bowl, add the toasted oat flakes, hazelnuts, ginger, potato starch, oil and vanilla extract. 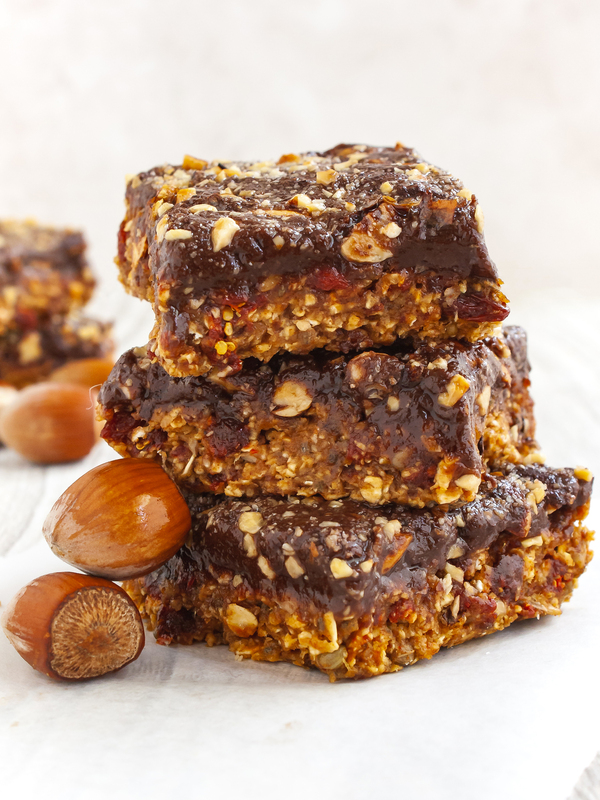 Combine the ingredients until the oat flakes group into clusters. Add water if the mixture is too dry or starch if too wet. 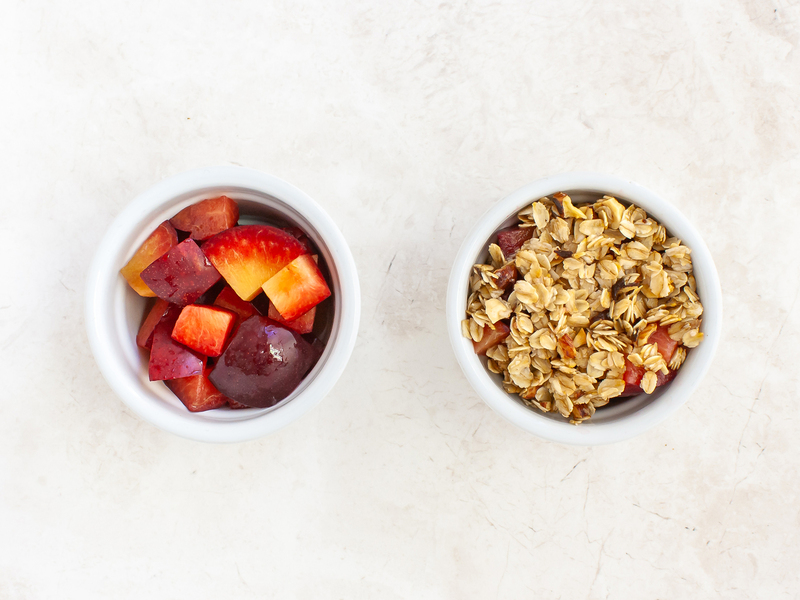 To prepare single-serving fruit crumbles, use one ramekin per person. Divide the plums among the oven-proof pots filling them at two-thirds and distribute the oat and nut crumbles among the ramekins covering the fruit (1). Bake these sugar-free plum crumbles in the middle shelf for 35 minutes. When you&apos;ll see bubbles popping in the ramekins as the plums cook, the fruit juice browning and the oat crumbles turning golden, the dessert is ready (2). Allow the fruit crumbles to cool down for a few minutes. Serve warm or with a spoon of hot custard. Sprinkle the top with water before baking to help the binding of the crumbles topping while cooking. For a sweeter fruit crumble use very ripe fruit or add a splash of honey or agave nectar.